LIVE CAMERAS AND ICONIC PHOTOS—Today we blog a serious personal compulsion, which is being able to stare at remarkable photography for weeks on end. Hereforth are two interesting Internet websites involving world-wide photography. One site dwells on the moment, while the other is a significant historical resource. EARTHCAM-- EarthCam.com is a U.S. based network of scenic webcams that offers a complete searchable database of interesting places and views from around the world. The award winning website (Webby Award Winner – Tourism) is viewed by fans in 192 countries and ranks among the top 1% of all websites. EarthCam.com is the world’s favorite webcam network and the EarthCam Network cameras have been seen on top news shows, including CNN’s Headline News. 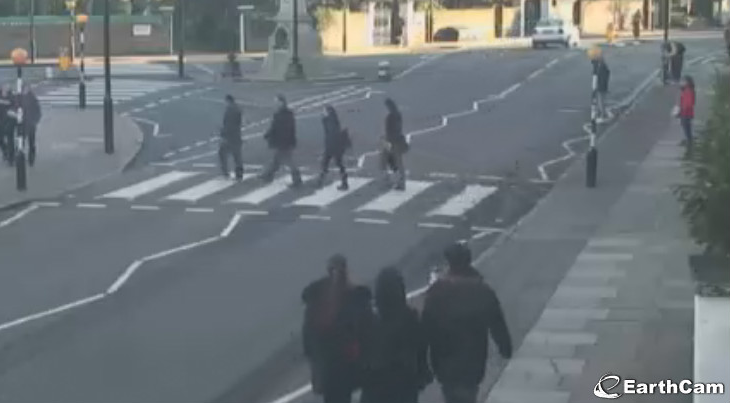 near the Beatles Abbey Road Studios. Throughout the years, EarthCam.com has become famous for its Times Square Cams and various scenic destination cameras. 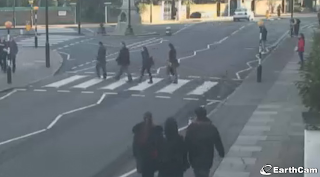 The website continues to expand its exclusive network of webcams, adding new live cameras every month, which include views of the Abbey Road Crossing in London made famous by The Beatles, the glitz and glamour of Hollywood Boulevard in California and the World Trade Center construction at Ground Zero in New York City. EarthCam.com also offers stunning views of important American icons, such as the Statue of Liberty, St. Louis Gateway Arch, Seattle Space Needle, the Charging Bull on Wall Street and the famous Welcome to Las Vegas Sign. ICONIC PHOTOS--The second is fascinating blog for aficionados of iconic world photographs. This blog posts famous photos and adds commentary. It is a one-stop gallery of famous photos. You can kill a week viewing this site’s archives (since 2009). An example, of what Iconic Photos is presenting is posted here. According to Iconic Photos, the photo session with Che Guevara took place in Cuba in 1962. Photographer Rene Burri of Magnum photo agency took the images.